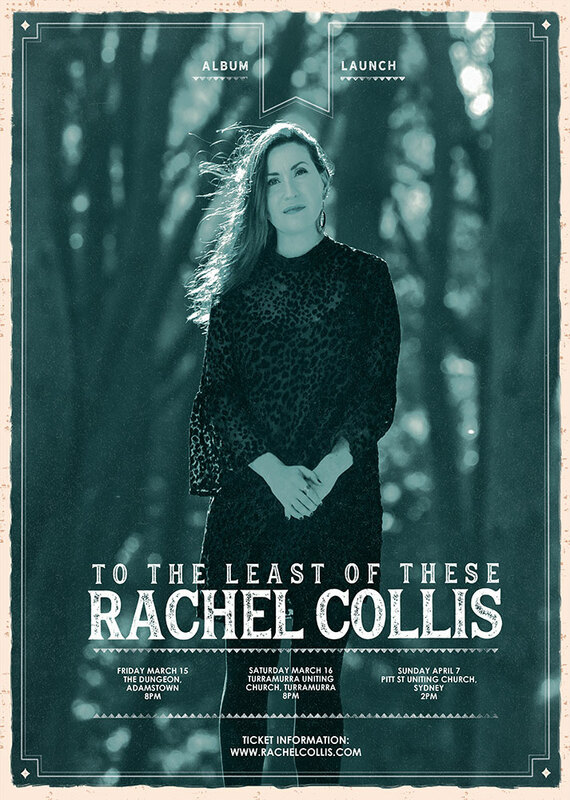 Highly acclaimed Sydney songstress Rachel Collis and band present the songs from her much anticipated new album To The Least Of These. Produced by Rachel and ARIA award-winning and Emmy-nominated Sean Carey, the songs tackle themes of love, kindness, compassion and the importance of caring for our fellow human-beings. Sydney songstress Rachel Collis has been described by reviewers as no less than “prodigy”, “sheer genius” (Australian Stage) and “a welcome jolt back to the time of Joni Mitchell and Carole King” (The Orange Press). Rachel is sweetness, sophistication and good old-fashioned songwriting. Tickets: Adult $25 / Concession $20 – Available at the door and online at Sticky tickets.